But there is no rush to catch a ride. 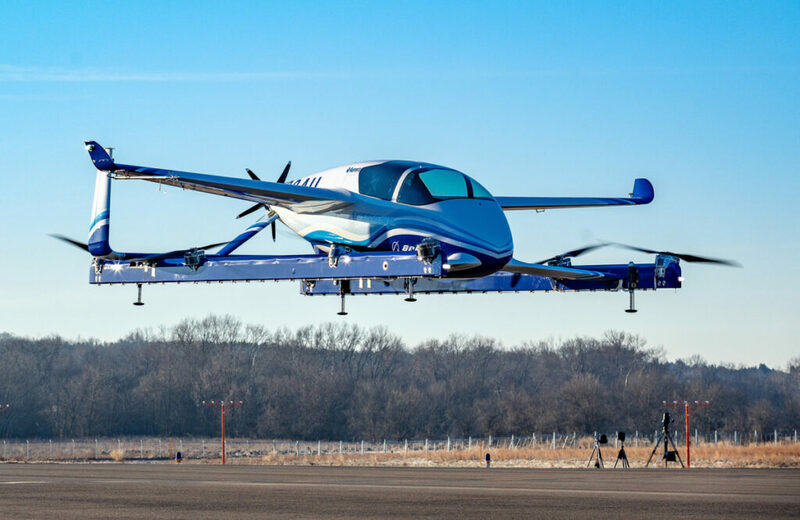 Boeing offered a glimpse at a futuristic alternative to crowded freeways when its prototype autonomous air taxi – essentially a flying car with no driver – lifted off the ground for the first time on a test takeoff. Boeing subsidiary Aurora Flight Sciences, a leading developer of innovative aircraft and autonomous systems that Boeing acquired in 2017, designed the electric vertical takeoff and landing aircraft. Its first flight took place Tuesday at Aurora’s headquarters in Manassas, Virginia. “This is what revolution looks like,” said John Langford, Aurora’s president and CEO. He said the key to the technology will be autonomy – the aircraft is intended to fly itself, using sensors and artificial-intelligence software to avoid obstacles and other flying vehicles as it delivers passengers. Other companies are also rushing to develop similar air taxis to open up the urban skies, supplementing the current clogged ribbons of highway with flight paths crisscrossing the three-dimensional space above our heads. A year ago in Pendleton, Oregon, European jet maker Airbus completed a similar test takeoff of its Vahana autonomous air-taxi prototype at a drone test range, the aircraft rising 16 feet into the air and then descending safely. Even a potential killer app for urban air taxis – whisking passengers arriving at Sea-Tac International Airport to the heart of downtown Seattle – in reality looms as more of an air traffic safety nightmare when you think about pilotless air vehicles and fully loaded passenger planes flying anywhere near each other.